From 28th December to 5th January, thousands of workers and young people were demonstrating in several towns of Iran, despite the important risks they were exposed to. Workers, employees, unemployed, farmers and students were claiming improvement of their economic situation, challenging the dictatorial regime of the bourgeois Islamic government. In 1978 a proletarian revolution arises in Iran. It tore down the despotic regime of Shah Reza Pahlavi who is one of the grantors of American power in the world. From February 1978 onwards riots take place in huge towns all over the country. Reza Pahlavi strikes them severely down with help from an army formed by recruits. In October 1978, the Abadan refinery is on strike. The dynasty breaks apart as the working class launches a general strike in November 1978, when Kurds stand up on February 1st in 1979, and when regiments take defense of Teheran’s people on February 9th in 1979. The guerilla organizations (DPK-I, Komala, Fedayeen, Mujahedin…) are distributing weapons in Kurdistan as well as in the capital city, and start fighting against the troupes devoted to the monarchy. For a few weeks, liberty of speech is coming strong with workers’ councils appearing in all big companies. Yet the working class is a social minority, and there is no revolutionary labor party being part of Shoras to help them improve their condition. During the last decade, left-centralist movements broke up with the reforming Toudeh party supporting guerilla movements, while turning their backs to working class. In 1978, Fedayeen, Peykar and Komala – without knowing – were also much closer to the socialist revolutionary party like in 1917 rather then to the bolshevist party. In order to stop the revolution, the local bourgeoisie supported by French imperialism, chooses to play the “religious leader card”, impersonated by Rouhollah Moussavi Khomeini, who on February 1th, 1979, is returning from France on a plane, chartered by the French government. It is, in fact, the only consistent action organized for the remaining bourgeoisie after the mob had dismissed Shah Pahlavi while at the same time, Prime Minister, Bakhtiar, endorsed in urgency, seems to be too weak to hold down the revolution. The Muslim Shiite clergy has always been refusing any modernization. The Islamic response had been a complementary power in the military coup of 1953, which back then dismissed the nationalist Mossadegh and restored the monarchy. The monarchy violently suppresses working class, students and national minorities supported by the American government. Khomeini and other religious Shiite dignitaries are opposed to the Shah’s “white revolution”, because he is about to establish agricultural reforms and prioritizes industry and bank institutions, instead of trade and usury. He heads towards women’s legal equality, promotes historical continuity, looking back on the country’s birth in middle age, long before Persia was Islamized. Since 1978, Mujahedin, part of the clerical guerrilla organization, prostrated themselves before the Ayatollahs. The majority of the working class movement together with a united anti- imperialist front categorizes the exploited and abused as being part of the national bourgeoisie, in the name of a “step by step revolution”. The party is linked to URSS bureaucracy (Toudeh), Castro and Mao organizations (Fedayeen, Peykar), a “so to speak” Trotsky linked group (HKE), and portrays Khomeini as a progressive and anti-imperialist leader. In fact Khomeini will take the bourgeoisie’s lead, and hence saves Iranian capitalism. Ayatollahs are gathering Shiite clergy, traders’ bourgeoisie, the army of the monarchy, big landlords, lumpen proletariat, small farmers, and student minorities, to avoid any social revolution. Their fascist stooges (Hezbollah) are assaulting all organizations, claiming socialism, disarming masses, closing down universities for two years, and suppressing any form of social power, such as women refusing to wear the veil, students opposing the Shah, proletariats in minority, and in a country with opponent minorities, like Kurds, Arabs or Turkmen, and that has no idea where to turn to. “The Party of God” bans and shuts down labor organizations one by one. At no time, a united front would counter the Islamic fascism. In March 1979, the Republican Islamist Army launches a referendum for an Islamic republic (without secret ballots) obtaining 99,7% of votes in favor (Mujahedin and Toudeh voted “yes”). In April, Khomeini celebrates the army, in June he proclaims amnesty for militaries and policemen, in July he prohibits to take complaint against them, in August he introduces censorship with Toudeh’s approbation. In order to appear as an anti-imperialist, on November 4th 1979, Khomeini orders “Islamic” students to take hostage of the American Embassy for 444 days. This operation is supposed to be a diversion, a sheer symbol, and very different from the revolutionary Vietnam War, and even from the tangible measures taken by Nasser or Mossadegh. However, all sorts of fools are giving praise to Iranian clergy, the very moment, they rule the counter-revolution, such as French philosopher Foucault, Arafat, PLO’s leader, Stalin-inspired parties all over the world, revisionists of Trotskyism, in particular the American SWP and the British WRP. Khomeini is cautious about the Shah’s former army. In Mai 1979, he creates the Pasdaran regiment (guardians of the revolution) and mobilizes the Basij in November 1979. Within the Islamist coalition, Ayatollahs are very popular and overcome their civil rivals with a fanatic army besides them. Bazargan is removed in November 1979, Banisadr is impeached in June 1981 despite being supported by the MEK (Mujahedin). A referendum endorses the constitution measure, molded by the Ayatollahs (98% of votes in favor) on 2nd and 3rd of November 1979. The bearded and turbaned are pretending to found a country based upon the laws of God. As this God doesn’t say that much, the religious leaders rule simple citizens. The « Supreme Leader » is the most important person to refer to. He is elected by an assembly of experts, formed of 86 religious leaders. The “Guardian Council” ascertains consistency of religious laws and selects candidates for legislative and presidential elections. 12 guardians are chosen by the Supreme Leader. The President is in charge of ruling the country under the Supreme Leader’s authority. He has been elected by universal voting for 4 years. The Parlment is a “consultant Islamic assembly” (Majlis) and votes the budget and other bills under the control of the Guardian Council. This assembly unites 5 members of granted confessional minorities and 285 representatives elected by vote. The military assault on Iraq in September 1980, encouraged by imperialistic western forces, strengthens the clerical and anti-revolutionary regime, which portrays itself as the country’s defender. Iran manages to get weapons from the USSR, North Korea, and China and without disclosing it, as well as from the USA (so called the “big evil” in Islamic rhetoric back then) and even from Israel (“mother of evil”). The dictatorial regime kills at least 8.000 opponents from 1981 to 1985. In July 1988, when an armistice was signed with Iraq, it executes 2.800 prisoners, mainly activists of the workers’ movement (HKS, Komala, Fedayeen, Peykar, Toudeh…), within four weeks. Today, all sorts of movements are claiming to be part of Trotskyism (LOI and IS in Argentina, CWG in New Zealand, SWP in UK, and RKOB in Austria…) and they are still convinced, that the Islamists are anti-imperialists or revolutionaries. The outcome of the Islamic counter-revolution in Iran is the following: In countries devoted to their cause, religious leaders are able to mobilize fanatic lumpen to physically overrun proletariat and national minorities. In this aspect, Islam is doing a big favor to the imperialistic system worldwide. The later evolution of the Islamic republic tends to confirm a theory of a permanent revolution like the Russians or the Chinese experienced: In days of imperialism, no fraction of bourgeoisie in any dominated country would be able to fight against imperialistic power. In 1978-1981, Islamic fascism uses an anti-imperialistic vocabulary and even pushes towards equity. Subordinated classes, which followed the clergy are ripped off, and the country remains under control of global capitalism. In 1979 the national bourgeoisie sustained. Companies owned by the Shah’s family and other capitalists, who had escaped with him, were nationalized. New capitalistic aspects appeared, in particular religious foundations in an obscure accountancy, governmentally subsidized and tax-free. Religious institutions (of which the Supreme Leader and the Pasdaran are part) are genuine capitalist groups who produce and sell weapons, energy, telecommunications, chemistry, and agriculture. Therefore, inequality between revenue and patrimony increases. Thanks to oil income, the bourgeois government is able to finance a huge system offering a multitude of jobs (officials, Pasdaran, Basij) for unwanted urbans and bankrupt farmers. It subsidizes gasoline and basic food products. America maintains the pressure, and challenges the regime with economic, political and ideological issues, despite of the agreement signed in 2015, of persisting industrial and agricultural weaknesses, of decreasing oil and gas prices in 2014,. Employees are victims of privatization, subcontractors, job instability, trade unions and strikes. Small farmers are ruined by land mergers and environmental crisis. Small retailers are competed by upcoming malls. Young people are better educated than in other countries of the region, and therefor are aspiring to good jobs, freedom of expression, and abolition of sexual apartheid. Increasingly women are rejecting established humiliation and a morality police force. Exploited classes are facing massive unemployment, huge inflation, and increasing rentals. Iran’s government compromises on the nuclear program in 2015. In exchange, it is expecting from the imperialist forces, who co-signed the agreement (USA, China, France, UK, Russia, equipped with an arsenal of massive destruction, and Germany)to lift all economic sanctions(Israel or Pakistan do not suffer from such sanctions as they are USA’s allies and armed with nuclear weapons). The government is hoping that their major capital investors would invest in Iran, but they are countered by administrative slowness and uncertainty, sustained by the American government. Operations in the region (Lebanon, Iraq, Syria, Yemen…) are supervised by the Supreme Leader and the guardians of the revolution (Pasdaran). Diplomatic and military success is spectacular and flatters patriotic feelings, but still remains very costly for a country, actually underdeveloped in many ways… Another issue is the initial pretention of the theocratic regime to take the lead of all Muslims worldwide, and finally ending up defending Shiites, who are quite a minority in Islam’s world. Regime leaders and the Iranian bourgeoisie are mangling with each other, concerning inner and international politics. Those quarrels caused the end of the unique party (Party of the Islamist “Revolution”) in 1987. This could easily be seen right after Khomeini’s dead in 1989. « Conservatives » surrounding the Supreme Leader (Ali Khamenei, 78 years old and supposed to succeed Khomeini in 1989) are refusing democratic compromises, for they fear masses joining in, in order to overthrow the Islamist republic. “Reformers” surrounding the President (Hassab Rohani, 69 years old, elected in 2013 and reelected in 2017) attempt to negotiate with the imperialist bourgeoisie in order to revive economy, and thus to avoid any questioning of the Islamist republic. In summer 2009, reformists launch a large wave of massive protest (aka green movement) after the conservative President Ahmadinejad had been elected. Many young boys and girls were attending the demonstrations in all big cities. Albeit violently suppressed (more than 150 people died), it was the beginning of an era of popular uprising in the region against fake anti-imperialistic and genuinely despotic regimes (Tunisia in 2010, Egypt in 2011, Syria in spring 2011, etc…). However, one must neither overrate internal homogeneity on each side, nor the difference between them. All of them had been a result of the counter-revolution in 1979-1981. Both clans are capitalists and both are inclined to defend Iran’s capitalism against foreign threats. Both are defending a “theocracy” (clerical despotism), both agree on oppressing and repressing proletarians, students, women, Kurds, and both agree on privatization and restriction of social expenses. Even though all media is under control, division of Islamist bourgeoisie and mutual assaults bring to people’s knowledge, that corrupt parties are getting richer and richer whereas workers, no matter whether men or women, are getting poorer every day. This spontaneous national movement has been organized during several month of discussion about increasing inequity on social networks, by isolated protests of farmers, demonstrating against consequences of dryness, by dozens of strikes, and by demonstrations of employees against belated paychecks and lay-offs, by a women’s and young people’s party against the bigoted straightjacket. Division of Islamist bourgeoisie and increasing weakness of its hold on independent workers, executives, officials, and nobodies allowed the demonstrators in 2017-2018 to go to the streets altogether, and to challenge the entire regime. In December 2017, Rohani presents his budget for 2018 and discloses the tremendous amount of subsidies given to religious foundations. Reformists try to draw public attention away from this budget, because it cuts all subsidies for basic food products (eggs in particular), and gasoline, and diminishes and social funds of fifty percent dedicated to the poor. In response, several production sites linked to the Pasdaran, attack austerity of the government. In December 28th, the conservative Ayatollah Alomolhoda provokes a demonstration of 200 women veiled in chadors, against costliness of live and against President Rohani, in Iran’s second city, Machad. A crowd of workers, unemployed and young people, are quickly outraging the initial parade in Maschad, chanting against the regime, the Supreme Leader, and foreign help. It is quite the same in Racht. The following days, demonstrations are reaching the entire country, about more than 80 cities. According to the British web site Hopi, favorable slogans claiming monarchy to be rehabilitated, and eased by the vanishing workers’ movement, are rare, and often countered by different calls of order rejecting monarchy and theocracy (Yassamine Mather, Protests by impoverished, hungry Iranians, 2nd January 2018). On the other hand, it seems that dissatisfaction often addresses foreign expenses, in particular in Palestine (Gaza Strip under control of the Islamic Sunnite party Hamas, in Lebanon, Shiites and Hezbollah with its social and military activities and in Syria, Pasdaran military operations, Lebanese’s Hezbollah, Shiite’s militia saving Assad’s regime). President Trump closes US borders for Iranians. The USA, Israel and Saudi Arabia are competing in western Asia with Russia, Turkey and Iran. They are strongly enforce threatening Iran. Trump’s and Netanyahu’s obvious support given to demonstrations are weakening them (Iran’s masses know that imperialism is well able to destroy countries at the expense of populations), while strengthening the regime in place (all media had criticized foreign interference). European governments are more cautious, willing to benefit from opening up of Iranian capitalism to their investments. Russia and China support the regime. Government are censoring social networks. Police, ruled by government, is essentially in charge of repression (less than in 2009, Pasdarans and Basji are obeying the Supreme Leader). Repression causes 22 dead people and 3 700 arrests. Repression ruled by “reformists” is completed by massive counter-demonstrations, organized by “conservatives”. The latest demonstrations took place in the night of 4th and 5th of January. Jafari, chief of guardians, (Pasdaran) announces the “end of sedition”. President Rohani claims to the bourgeoisie (Islamist or not), that he has succeeded to repress demonstrations, and to reestablished order. He promises to support the masses’ demands. He is not able though, to satisfy economic and political anticipations of exploited or dismissed masses. To make the next step a victory, to succeed in all demands, and to overthrow the regime, it does not only take two fractions to debate, but it also excludes imperialistic western forces, like monarchists and Islamists, rivals as they were (Mujahedin). Bourgeoisie, disappearing by the ongoing social revolution, would take a toll on nearby bourgeoisies, on Zionism, on the whole Islamic echo, and on imperialism worldwide. Workers’ movement is weak, but very active, in exile, in companies, and in universities. It could take the lead of the oppressed and the exploited, if it had learned its lesson from betraying and the mistakes it had made, during the Toudeh and Feydeen revolutions in 1978. One must not trust any aisle of the Iranian bourgeoisie. As far as we know, only the workers’ party, HKS, Kurd’s guerilla organization Komala, and Feydeen (in minority) understood back then, that Islamism was counter-revolutionary. One also needs to learn from mistakes being made by the HKI and by the HKKI (both near to Komala) in exile: Never trust any Islamic bourgeoisie (neither eastern nor western). 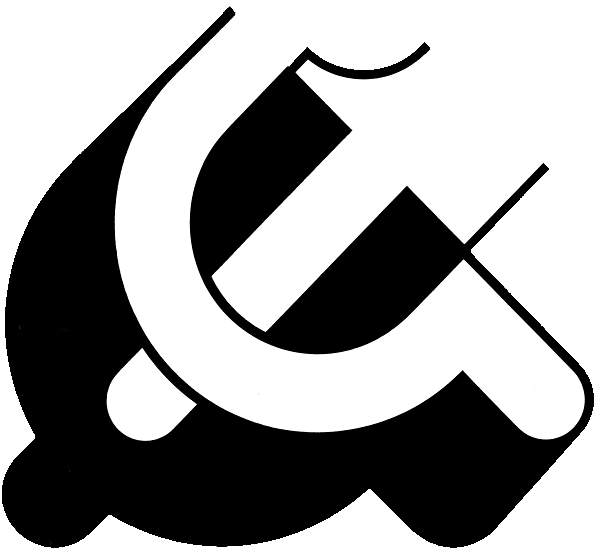 Iranian’s communist party (HKI) and the workers’ communist party (HKKI) substitute the proletarian internationalism by a call towards bourgeoisie, in order to ensure pressure on the Islamic regime. Hence, HKI and HKKI are demanding the Islamic republic to be excluded by the ILO. Yet, the ILO is not a labor union but an international bourgeois organization, a branch, created by the UNO, gathering governments, heads of companies, and union leaderships all over the world. Likewise, HKKI addresses « the people of the world » and asks them to put pressure on European governments to stop making concessions to the Islamic republic and to cut off their diplomatic relations. (WCPI, To the People of the World, 31st December 2017). Put pressure on European governments to desist from making concessions to the Islamic Republic, cut off their diplomatic ties with this government and shut down their embassies. Yet, Iran remains a dominated country. Trusting a leading bourgeoisie is far more dangerous, than relying to a bourgeoisie in a dominated country. Iranian proletariat has nothing to gain with imperialistic sanctions against an Islamic republic, no matter whether these sanctions are diplomatic, economic or military. This reinforces the regime. Solidarity with workers, men and women in Iran, and release of prisoners. Democratic freedom, rights of workers, men and women, all over the country, the right to put unions and parties in place, rights to gather, publish, strike and demonstrate. Lift of all European and American sanctions against Iran. The right for Iran to develop its own nuclear program. Freedom for Iranian workers and students to go to wherever they want. As far as Iran is concerned, HKKI do not open any outlook of working class socialist revolution, worker and farmer governments. They never clearly say what or who would succeed to the “Bourgeoisie Islamic Revolution”, yet it is very obvious that it will be the proletariat and the semi-exploited classes, who will overthrow it, paying with their blood. The only way to make the experience of Iranian’s class warfare worthwhile, is, to create, as soon as possible, an internationalist and communist organization in order to gather those, living in exile, and those living inside the country. 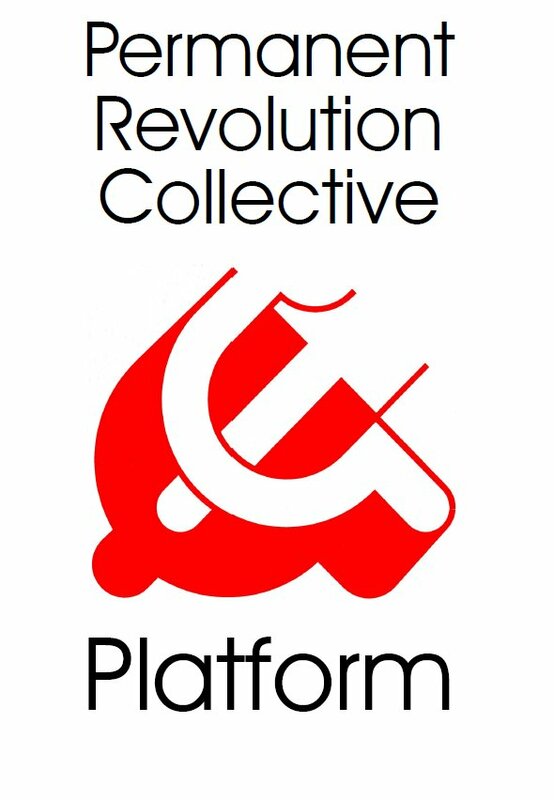 This organization of debates and fights should aim fighting with the masses, and build a revolutionary labor party, hand in hand with an international revolutionary party, based on the program of the Communist League, the Zimmerwald Left, the International Communist and the 4th International. Release of all imprisoned demonstrators and unionists! Democratic liberty, a secular republic established by a democratic congregation! Total separation of church and state. No subsidies from public funds for religious institutions! Men and women are equal. Homosexuals are no more prosecuted! Legitimation of national minorities to make their own decisions! Payment of belated wages, pay raise, wages indexation according to purchasing power! No religious education in schools, general public education, free of charge and secular! Free healthcare of quality for everyone! Protection of demonstrations and strikes. Dissolution of Pasdaran, Basij, police, and army! Unemployment benefits, massive hiring to handle a big development project. Dispossession under workers’ and farmers’ control of big agricultural holdings and capitalist groups, including such disguised as charity institutions! Workers’ and public councils, a workers’ government based on Shoras!